Deliver Value and being entertaining drives desired sharing and word of mouth recommendation. I subscribe to a podcast when the content matches my interests and name, audio quality is good, focused, and they drive value to listener life - What does the listener get from the content or what emotions are driven… impactful!! Deliver undeniable value first, and then ask for the commitment of a subscribe in Apple Podcasts or other listening apps. When looking at the gender split, podcast listening takes a turn when looking at age groups. 2019 might be the year of the woman, with listening jumping from 41.5% to 44.9% for women, while decreasing from 58.5% to 55.51% for men. Females aged between 55-64 and over 65 have been listening to more podcasts than males in the same age groups. This likely is due to more content being published for a female audience, as shows focused on genres such as true crime surge in popularity. - Podcast Review of the Week: “It's Not That Serious” Humor writer and popular online personality Anna Lind Thomas hosts the irreverent, hilarious and faith filled podcast that will inspire you to fully enjoy life, even when things look grim. First step? Stop taking crap so seriously! Hey Rob, good evening. Quick question. Can you explain how you're able to use music on this live broadcast? Do you have to edit the music out and then re-upload after the live show is over? 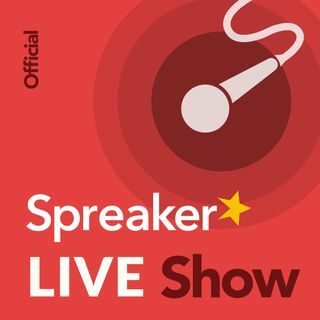 - NABShow.com - Las Vegas - April 6-11th, 2019, Voxnest and Spreaker will be there in force with a booth again this year. - The Audiocraft Podcast Festival (Sydney NSW, Australia: May 31 - June 2) has announced its initial lineup, Our very own Jonathan Zenti (Voxnest/Meat) will be joining the speakers list down under. I am joined on the show by Fred Jacobs, President of Jacobs Media Strategies, shares insights into the latest trends in broadcasting and digital media. New data from Techsurvey 2019 shows that web privacy is becoming an important issue to radio listeners. - Every year Jacobs Media comes out with its TechSurvey for radio/audio industry and you have a new coming out very soon. - Our annual Techsurveys identify key trends user privacy user safety, mobile, social, and “connected car” spaces and overall listening to radio and trends towards digital online audio and Podcasting. - They enable radio stations to better understand their audiences and their brands in these rapidly changing times. - Can you share some of the key findings from last year and talk about some of the changing trend lines moving into the 2019 Techsurvery? I have photo galleries, links, a video page and more, which is something they can only get at my web site. I direct them to where I am at the end of the show, short and sweet. Some people prefer different platforms and might listen to you on one they might like better. I miss doing my comedy but have not been available for that. It was either put up an occasional update as the real me or be silent for over two months, so I decided to veer into the real me and my real life. Thank you for Joining us Live today. I agree with you, there is no reason to mention where to subscribe in the episode itself. I do mention the platforms on promotional audio clips and other things that I post on social media.